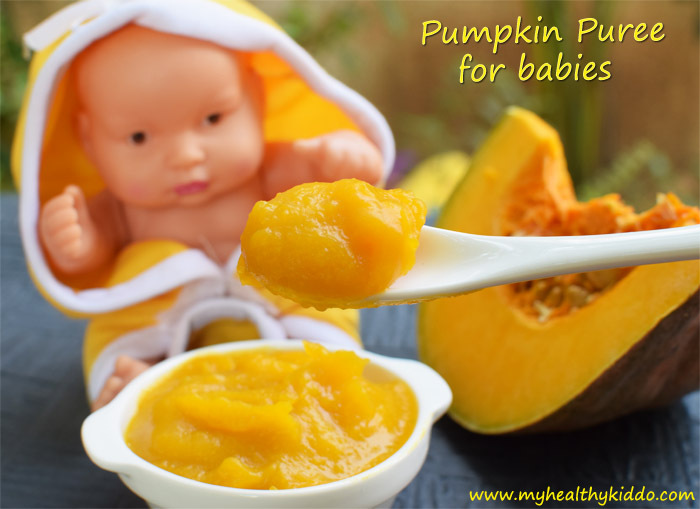 Nutritious and delicious pumpkin makes the best first food for babies. The dietary fiber in it prevents constipation when introducing first solids to babies. 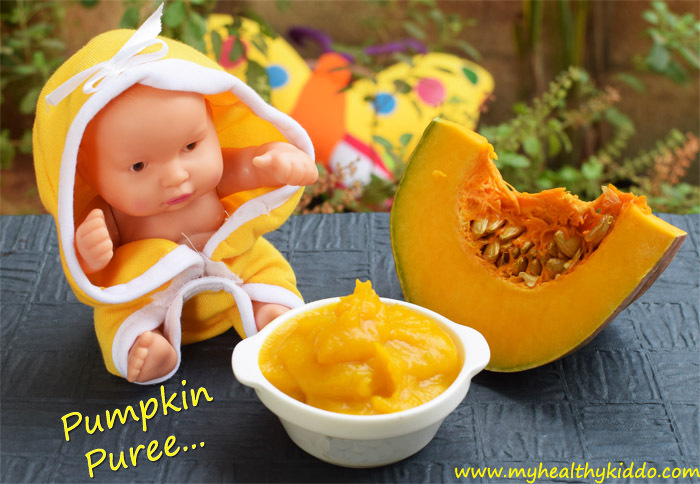 Packed with vitamins and minerals, pumpkin puree makes an ideal baby meal. After 6 months of exclusive breastfeed, introduce varieties of fruits and vegetables before baby’s first birthday to avoid a fussy-eater in future! 1.Cut out the skin and scrape out the center fibrous part with seeds. Wash it with clean water and cut into pieces. 2.Add ghee and fry pumpkin for few seconds in low flame. 3.Add water, close with a lid and allow it to cook in medium flame. 4.Prick a piece with a knife or fork and it should be softer. Allow it to cool and then grind in mixie/blender along with the cooked water. Mix with mother’s milk or formula and feed it warm! Do not drain the water after cooking. Use the water to make the puree. Pumpkins can be steamed/baked too for making puree. You shall feed this puree as such or mix with cooked rice. 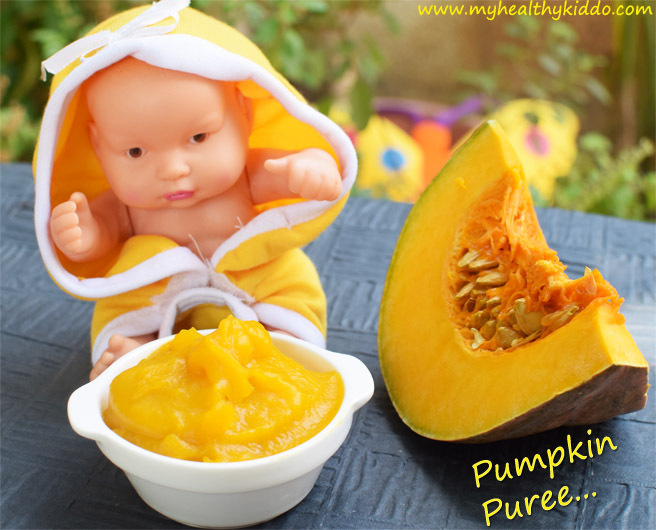 Puree consistency varies among babies. Initially, pulse it in mixie and give a smooth paste. Within a month, change to a lil coarse texture by reducing the pulses in mixie or using blender. After a month, change to lil more coarse texture by using mathu/fork/spoon. Then gradually switch to hand mashed food. The tactic is, do not make them accustomed to the same smooth texture. Do not add salt until your baby turns 1. Do not throw the pumpkin seeds away. Click here to see how to use it healthily ?